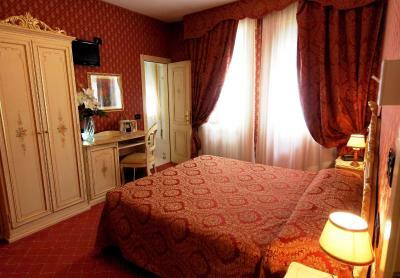 Lock in a great price for Hotel Mignon – rated 8.6 by recent guests! Everything was good and perfect except what I have mentioned above. I hope I will visit there again without morning noise. We booked the 2 bedroom unit. We did not realize that it was a few blocks from the actual Hotel which was a bit of a disappointment. 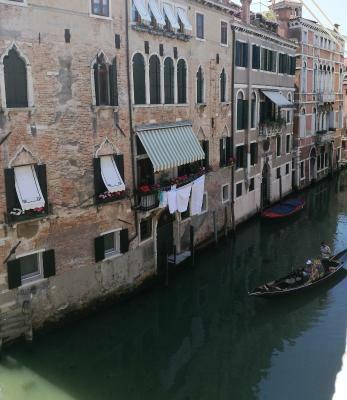 We also thought the hotel was on the canal, and our apartment was not. That being said, the apartment was quite nice and totally adequate for what we needed. And the location was quite nice. We were quite pleased all in all~! 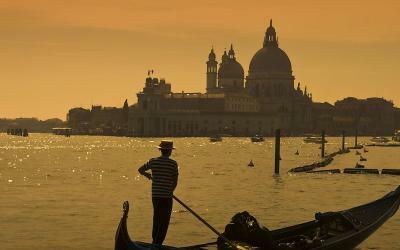 The location is ok but there are hotels available in much better locations and at a lower price. A sweet little hotel located near central attractions of Venice. 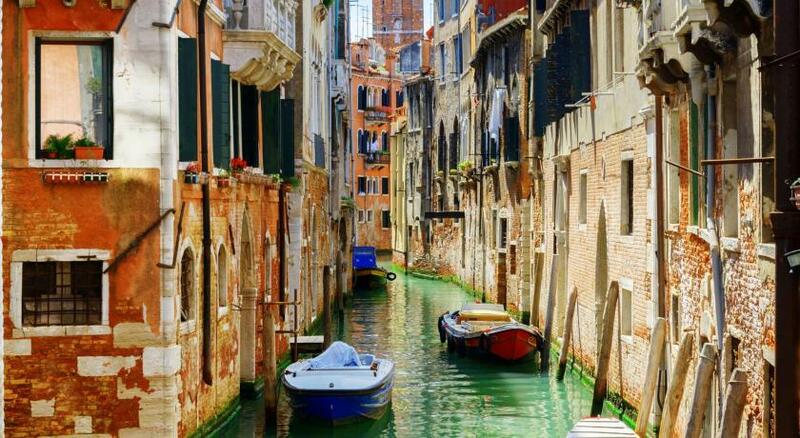 A little hard to find at first, but almost everything in Venice is! 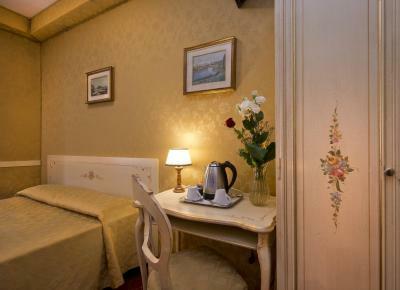 Nice breakfast, adequate room, quiet enough. I would return. This property was comfortable, clean, and easy to find! The room fit five people easily and was very homey. Staff was incredibly friendly and helpful, and even lent us an umbrella for the rain! We were able to check in early and store our bags with the hotel after checkout. There was a good choice for breakfast. 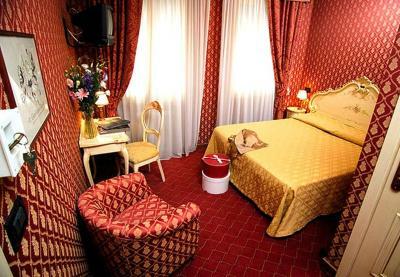 The hotel was very clean and the room was really cosy. Moreover, the mattress and pillow were really comfortable. The receptionist took my hand luggage to the room. 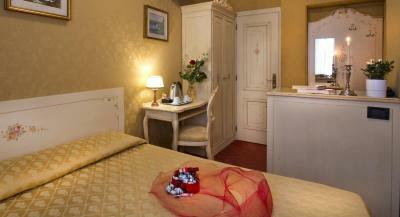 Comfortable hotel with delicious breakfast, close to Rialto and water bus. Friendly helpful staff! The kindness of the staff is what really makes this place great. They were welcoming, warm, and multilingual. Thanks, guys! Old world charm! Spacious family room fit our family of five without trouble. Location is perfect. Staff were very helpful. 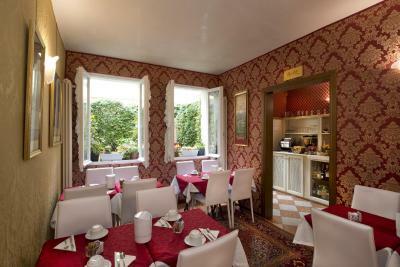 The staff was very nice, the breakfast was great. The decor seemed to match the city's ambiance well. 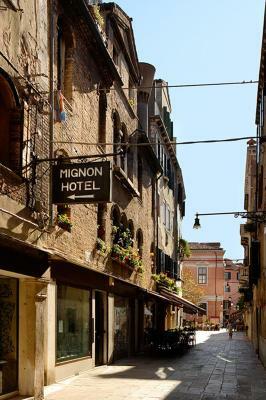 Hotel Mignon This rating is a reflection of how the property compares to the industry standard when it comes to price, facilities and services available. It's based on a self-evaluation by the property. Use this rating to help choose your stay! 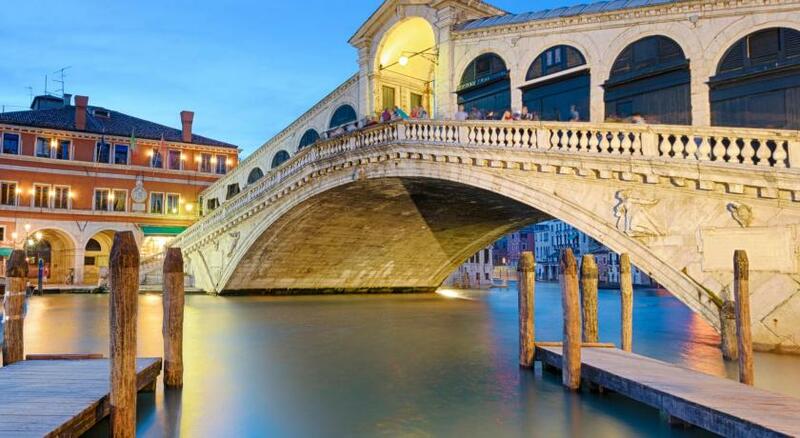 Located 1,500 feet from the Rialto Bridge, the Mignon is an intimate hotel in Venice’s Cannaregio quarter, 1,000 feet from Ca d'Oro Water Bus Stop. 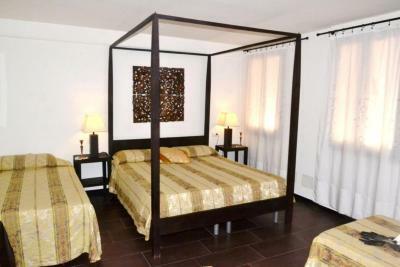 It offers free Wi-Fi and traditionally furnished rooms with air conditioning and an LCD TV. 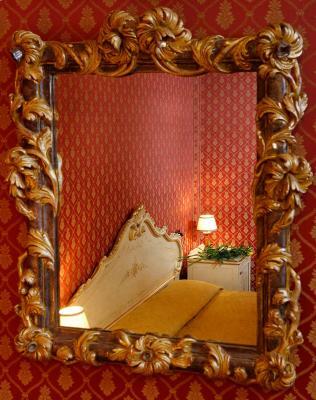 Rooms at Hotel Mignon are fitted with Baroque-style furnishings. 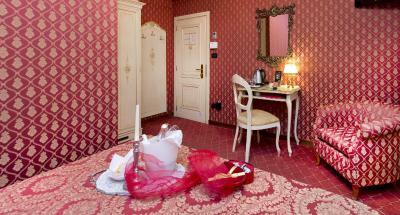 Each comes with a hairdryer in the private bathroom and a mini-bar. 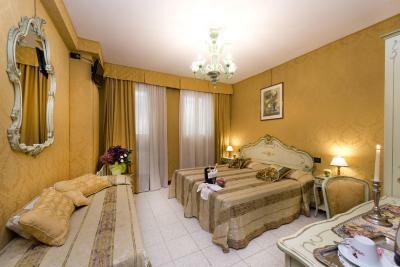 Apartments are in several locations and within 10 minutes' walk of the main building. 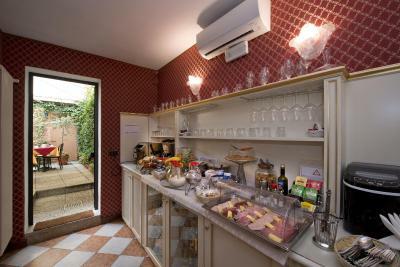 When booking a room, guests can enjoy a daily continental breakfast in the breakfast room or the small internal courtyard. Apartments are self-catering. Venice Casino is 2,450 feet from the hotel. 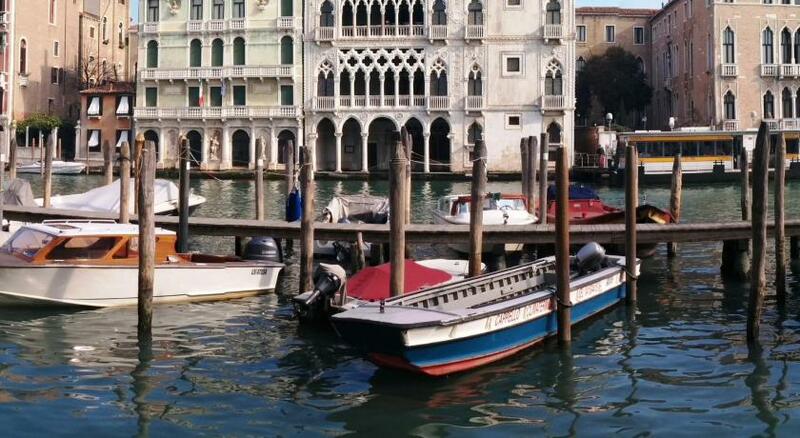 The Fondamenta Nuove jetty, where vaporetto water buses leave for Murano, is an 8-minute walk away. 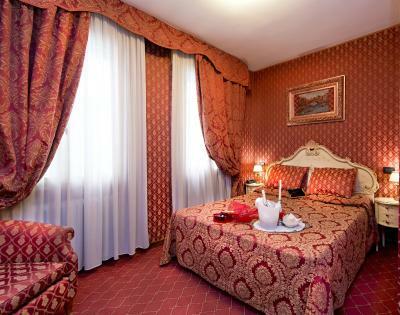 When would you like to stay at Hotel Mignon? 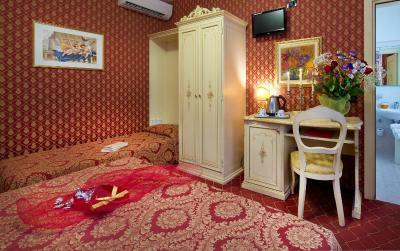 Traditionally furnished room with free Wi-Fi, air conditioning and an LCD TV. 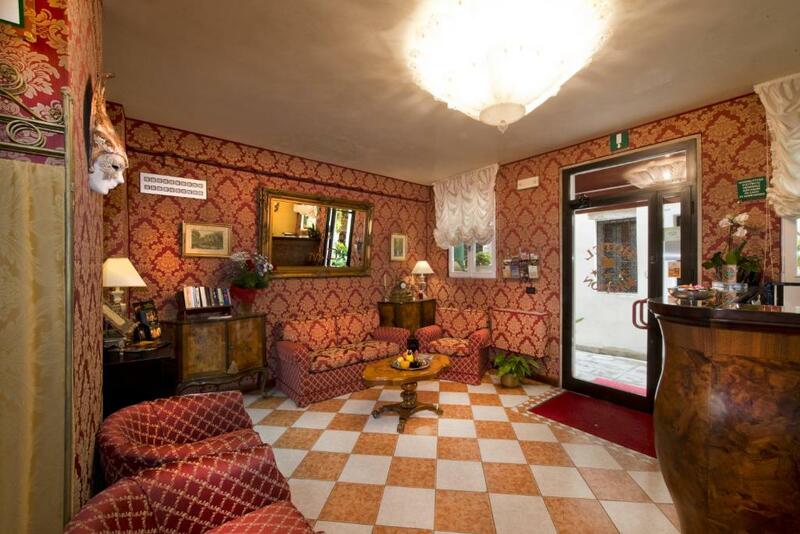 Comes with a hairdryer in the private bathroom and a mini-bar. Towels are changed every 3 days. Extra changes are on request and come at a surcharge. 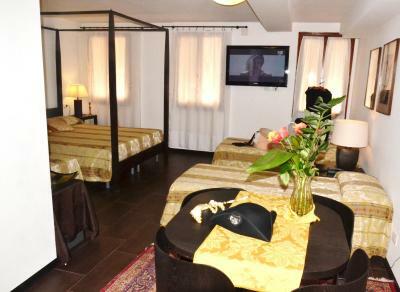 Spacious junior suite with a private entrance and a seating area. Address: Cannaregio 4638, Rio Terà Barba Frutariol. 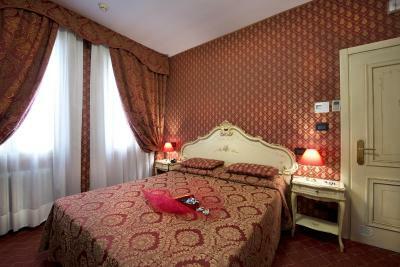 Check-in takes place at Hotel Mignon, 5 minutes' walk from the apartment. This upper-floor apartment is set in a building with no elevator. Features free WiFi and a bathroom with bathtub. 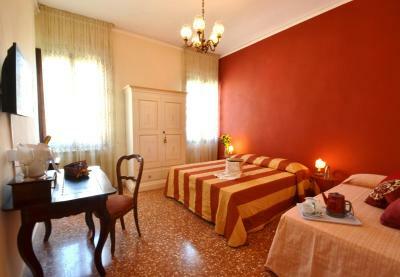 Please note that the first set of bed linen, towels, soap, and shampoo is included. Extra changes and daily cleaning are at an additional cost. 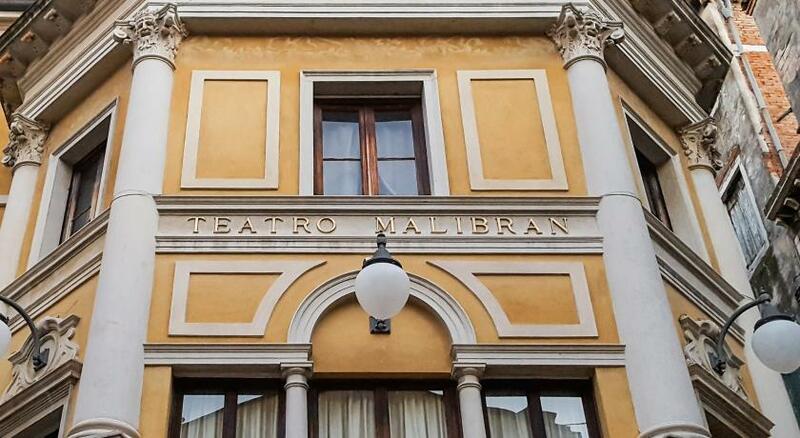 Address: Calle del Forno, Cannaregio. 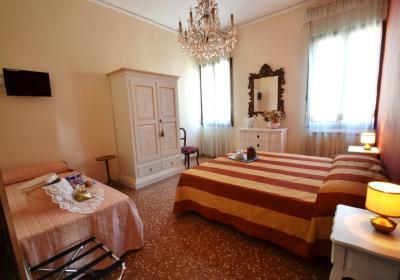 This apartment features a fully equipped kitchen, free WiFi and a private bathroom with a hairdryer. 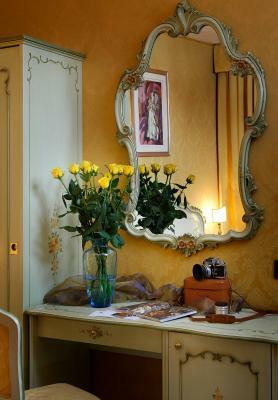 In the name Mignon condenses the essence of the Hotel, namely: small and pretty. 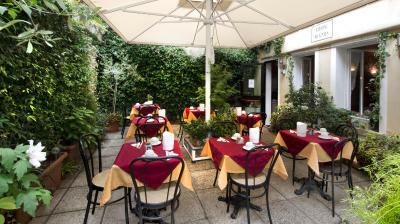 A private courtyard enriched with flowers during the summer is the perfect place to find rest. House Rules Hotel Mignon takes special requests – add in the next step! ATM card Hotel Mignon accepts these cards and reserves the right to temporarily hold an amount prior to arrival. Hotel Mignon accepts these cards and reserves the right to temporarily hold an amount prior to arrival. Please note that this property does not have a elevator. Upper floors can be reached via stairs only. Breakfast is not available in the apartments. Please inform Hotel Mignon of your expected arrival time in advance. You can use the Special Requests box when booking, or contact the property directly using the contact details in your confirmation. The staff was great and very kind, very helpful. The Hotel was very clean and location easy to reach. The staff was a amazing and so very kind. 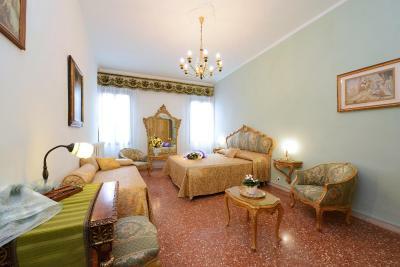 Very clean and cosy, good location, very polite and helpful staff. Mostly very sweet things for hotel breakfast. Even cereals and yoghurts were full of sugar. Cheese and bread were highly processed. More fresh fruit, fresh fruit juice, natural yoghurt, fresh bread or lower sugar items would be good. The best on offer was boiled eggs and on the first morning there was a banana! 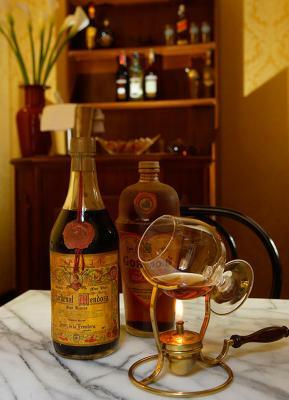 It is a pity because Italian food is generally so wonderful and there are so many simple quality ingredients available. Great location. Easy walk to all sights and Waterbus. It is probably the best area for finding quieter, less expensive places to eat. 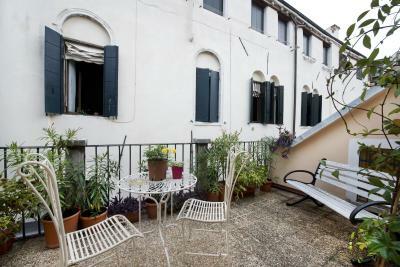 Easy access to quieter small canals and streets but also to lively tourist shops and areas. Staff were really helpful and friendly. Room was simple and clean. I would definitely stay in this hotel again. Breakfast offerings were good. They have managed the compact space pretty well. Wonderful staff. They recommend great activities and restaurants. Room size was way to small , no room at all. Wish it was closer to the Hotel and on the canal. 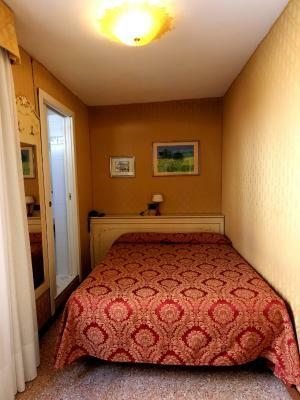 The Single room is a little small. Especially the bathroom. I am not plump but I can not turn a round in the bathroom. More place to live for tge guests please! The lacation is good. Not far from the centrum but everyone find all things out what they need. Price is so acceptable cheap. But the breskfast war not too much to select. The personal people are so friendly. I will tell all of my friends the hotel. Thank you! 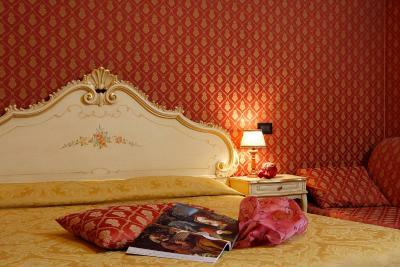 Perfect stay with family or friends to visit Venice! 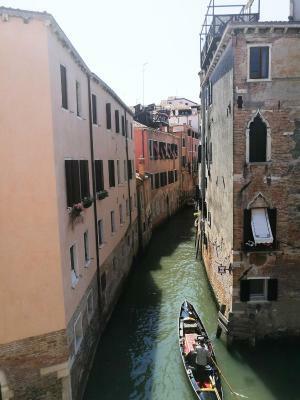 Great to see the canal out of the window!